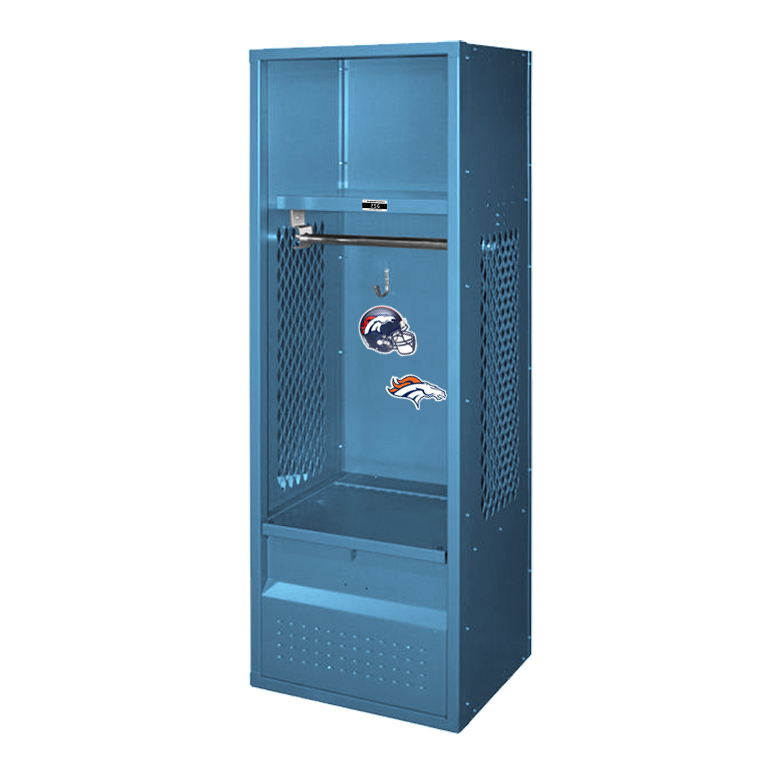 These NFL Kids Stadium Lockers are available on www.buyusedlockers.com where they have a huge selection to choose from if we need additional supplies. 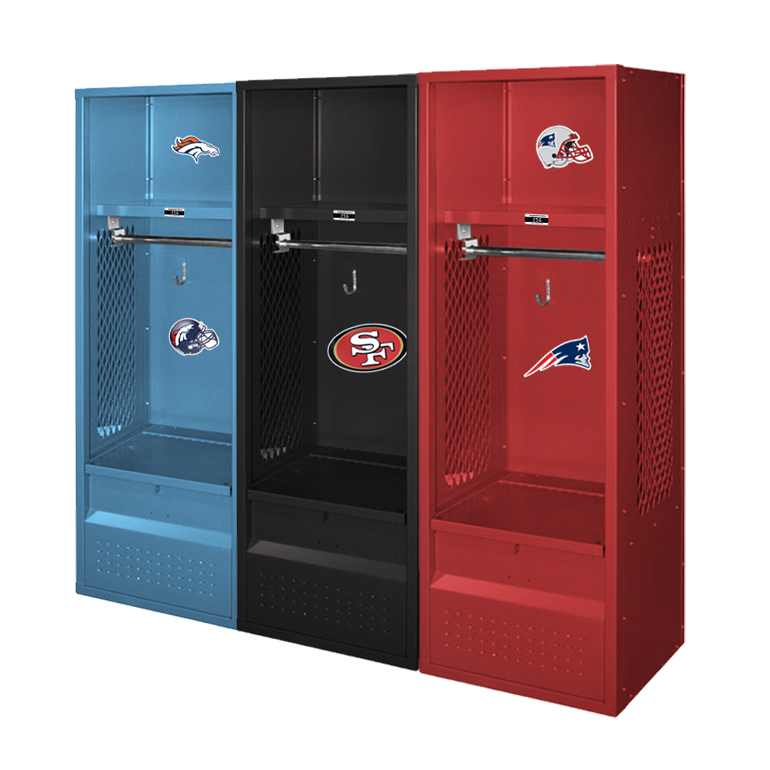 These smaller sized pro stadium style lockers come with your childs favorite football team decal to complete their sports themed room. 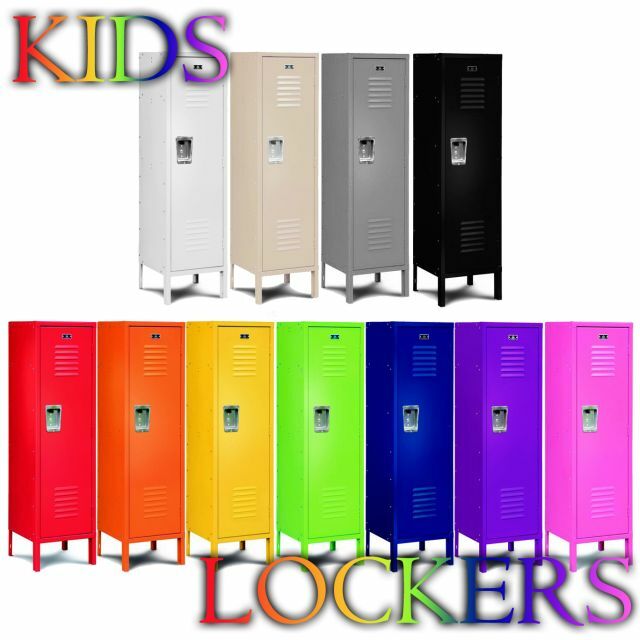 Your kids will love using these to store their favorite sports equipment and trophy memorabilia. 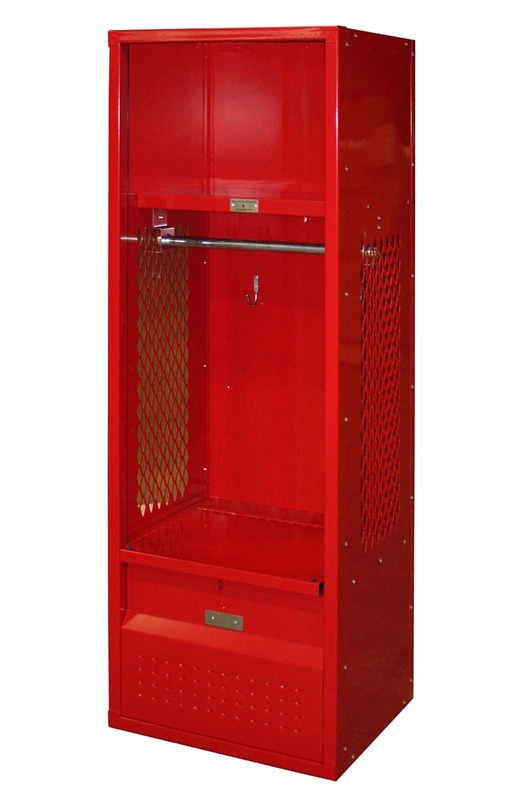 Made with two durable hooks and the full-width coat rod to hang equipment and miscellaneous items. 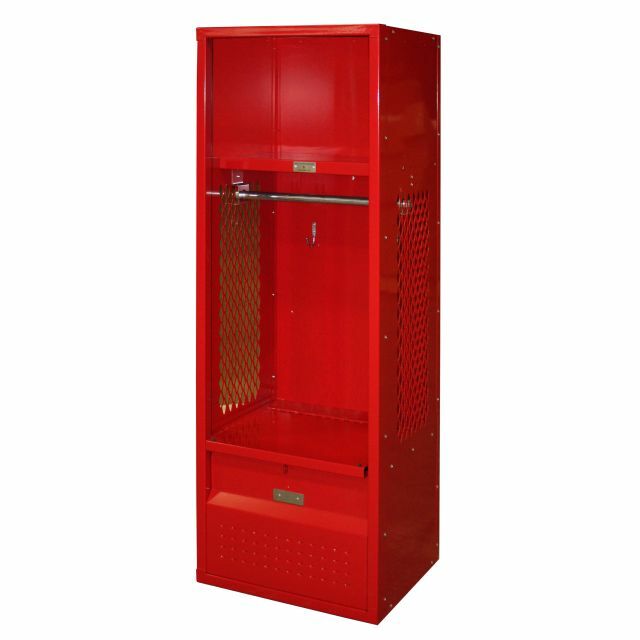 Trophies can be displayed on the shelf, and shoes and extra gear can be stored in the lower lockable storage compartment that also functions as a bench seat. 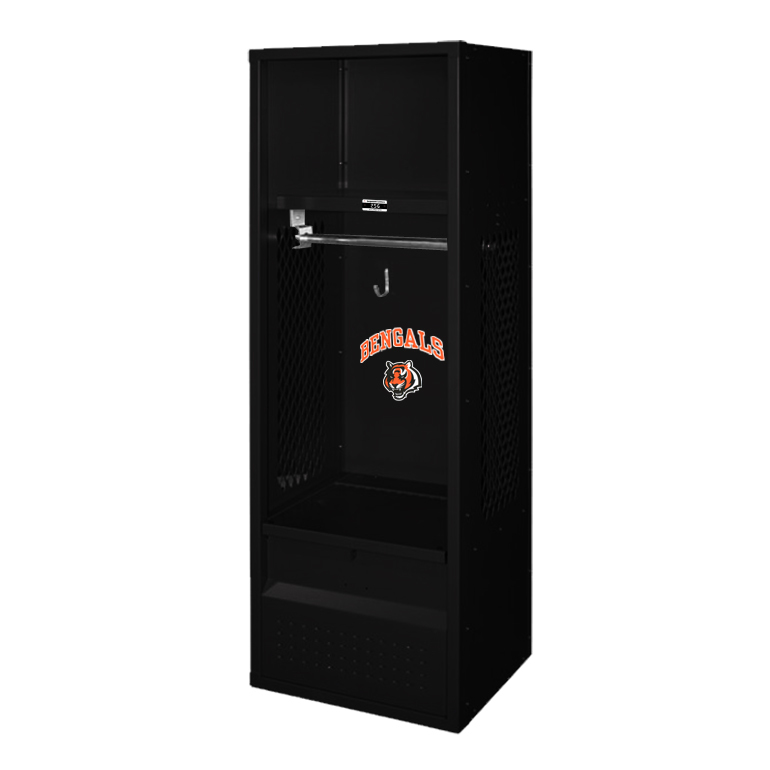 While smaller and compact, manufactured with the same high quality and packed with the same features you'll find in our full-size stadium lockers. We know ventilation is important to you, so we build with mesh sides to keep airflow to a maximum and therefore keep equipment smelling great. 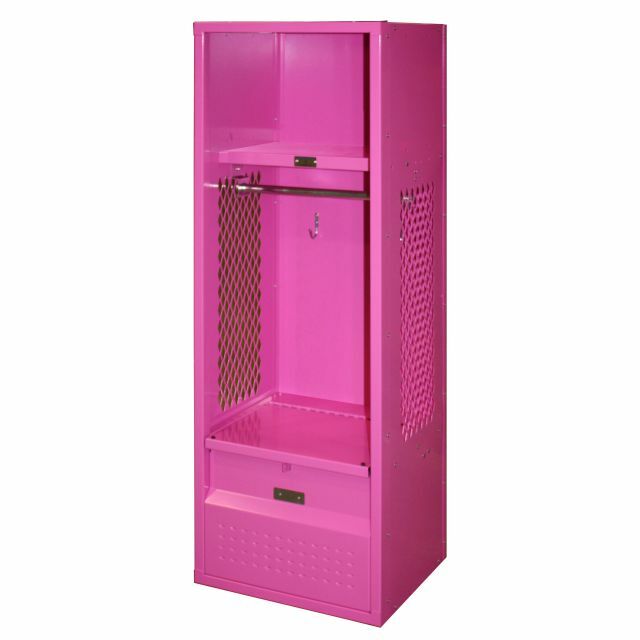 Built with 16-guage solid steel construction to withstand the rough-housing and horsing around typical of young athletes. Hooks: Two heavy single prong wall hooks come attached to back panel. Body Construction: 16-gauge welded channel frame construction for superior rigidity and durability. 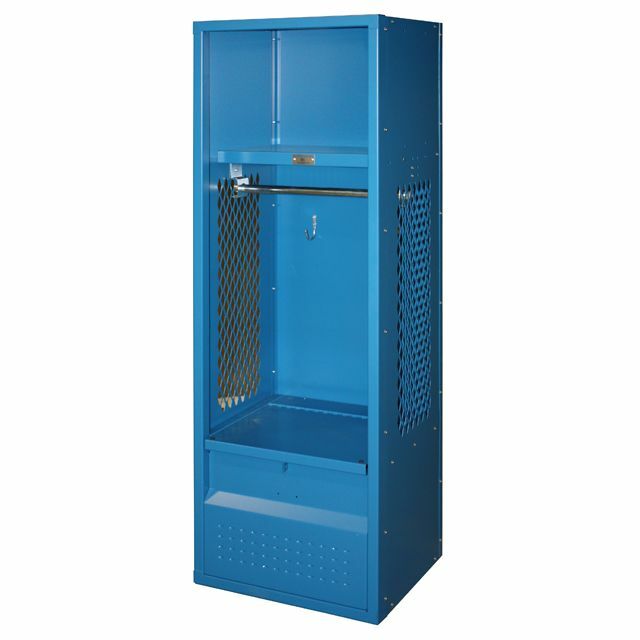 Body Style: 16-gauge diamond perforated sides with 16-gauge solid steel top, bottom and shelf. Bottoms: Includes two reinforcement channels welded underneath for strength and longevity. Footlocker: Provides roomy lockable storage compartment for gear and doubles as a heavy duty bench seat. Includes padlockable clasp with strike plate, continuous hinged lid, rubber bumpers mounted at contact points, security vents for ventilation. Lock Options: Accepts combination padlocks or keyed padlocks.